Porsche enthusiasts aren’t hard to find. Almost anyone who has had an up-close-and-personal experience with a Porsche is one. Then there are those who truly embody the spirit of Porsche. Tom Thompson is undoubtedly one of those people. Tom has owned a Porsche in some form for much of his life and drives a beautiful 1972 Porsche 911 T with all S options today. He is everything that a Porsche fanatic should be: passionate, dedicated and lives for the drive. Tom was kind enough to sit down with us for zero to 60 minutes so that we could share his story with all of you. Tom’s history with Porsche began in 1975 in the windy city of Chicago. At the time Tom was driving a 1967 Olds Delmont 88. The Olds had a habit of breaking down and was hard to park in the city, so he decided it was time to find a new ride. Little did Tom know that the decision to buy that Porsche 914 would be the start of a lifelong journey with the brand, which would serve as the catalyst of many friendships. The 914 became Tom’s daily driver. While making his rounds at the hospital he worked at, one of the lab technicians asked if he owned the Porsche 914 in the parking lot. The lab technician explained that her boyfriend, Hokey, was in the Porsche Club. She then informed him of a Gymkhana taking place at Soldier Field, where drivers compete in a slow speed race with tons of turns. Intrigued, Tom decided to go check out the Gymkhana event. Upon arrival he was waved down by a group standing around an assembly of Porsches. As he approached he saw a mix of 911s and 914s surrounded by a posse of longhaired, bearded guys. Here is where Tom met Hokey, who then introduced him to the rest of the group. This group, that would soon become Tom’s closest friends, was called the Dirty Dozen. They were a couple of blue collar guys that had grown up together in a rough part of Chicago. After coming back from the war in Vietnam they traded in their Harleys for Porsches and bonded through their love of driving. Tom felt connected through their shared passion and gladly became a member of the Dirty Dozen. The Dirty Dozen was notorious among the Chicago region Porsche Club, despite the region being quite large. This group of Porsche enthusiasts were at every track day, Gymkhana, concour and picnic. Each of these events required many volunteers and the Dirty Dozen could always be counted on to lend a helping hand. Among those hands was Tom. This offer to help broken-down Porsches was extended to any PCA member passing through the Chicago area. Tom even drove all the way to northern Indianato pick up a PCA member that had broken down. By this time Tom had caught the racing bug and knew that he had to have a Porsche 911. One of the members of the Dirty Dozen wanted to buy a pristine 1971 Porsche 911 S so he sold Tom his signal yellow 1972 911 T.
“I generally don’t like to buy or sell from friends, but I never regretted the purchase,” Tom commented. In 1982 Tom decided to look for work outside of the Chicago area and found himself relocated to Los Angeles. He had to leave the Dirty Dozen behind, but of course he brought his 1972 Porsche 911 T with him. Tom had that car for 20 years when a GMC pickup truck T-boned him in Fullerton, California. Tom’s first Porsche 911 T was destroyed. After his wreck, Tom went about one year without a Porsche. In his words, it was ‘terrible’. The thrill of driving just wasn’t the same while behind the wheel of anything but a Porsche. One day, Tom’s friend saw a 1972 Porsche 911 T for sale online at a nearby dealership for an unbelievable price and knew that he had to give Tom a call. As soon as Tom saw the deal online, he immediately phoned the dealership and requested to see the car in person. Tom has had this 1972 Porsche 911 T since 2000 and still drives it on a regular basis. We love that he doesn’t just let this incredible vehicle sit around and collect dust but instead enjoys it the way every Porsche is meant to be enjoyed­­ – on the road. Apparent by the photos, this 1972 Porsche 911 T is in great condition. Tom says that he hasn’t had to fix the paint or make any huge adjustments to the car. The only possible claim of imperfection is the most minimal of road rash, which is to be expected for a car that has been driven and loved for 46 years. Tom is a true Porsche fanatic that has lived a full and eventful life. 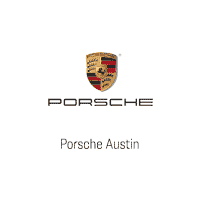 We are proud to have Porsche be a part of that story. From his first Porsche, to becoming a main member of the Dirty Dozen, to being the genuine Porsche enthusiast that he is today, we are glad that he shared his story and his beautiful 1972 Porsche 911 T with us. View full photo series of Tom Thompson’s 1972 Porsche 911 T here.